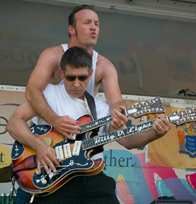 These guitars are not for everyone. . . 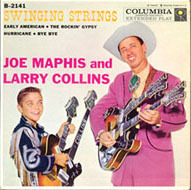 But if you remember Town Hall Party and Joe Maphis with his machine gun riffs played cleaner than country water and the show stopping duets with Joe and teenage lightning rod Larry Collins, both playing flashy, never before seen custom doubleneck guitars by Semie Moseley, then just maybe you are ready to have The Maphis, made for you. Or. 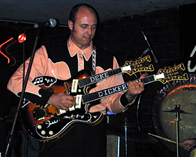 . . you might be one of the thousands that have seen Deke Dickerson - popular rockabilly entertainer that has toured world wide with my 2nd Maphis that was originally made in 1959. 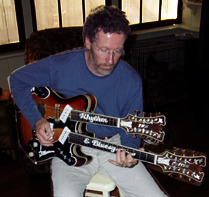 Deke has been playing his TNM for years and has introduced a new generation to an art form not seen for decades. 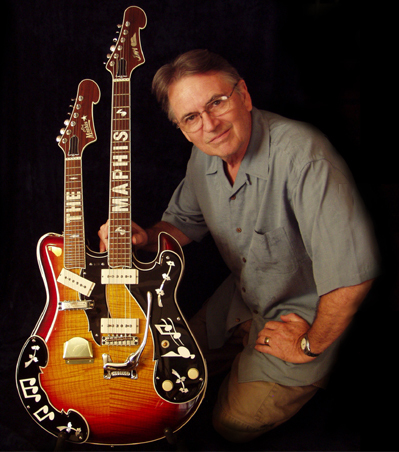 Deke, A Joe Maphis disciple, is now ever associated with the Maphis doubleneck guitar himself. 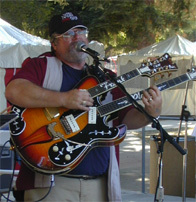 Newer TNM pickers that have discovered the irresistible attraction of the mighty TNM like Buddy Dughi, Frank Plesek, Jim Katz, Ken Sutherland, Billy D. Light, Lloyd Mills, and Bryan Browne not only because they look, play and sound fantastic, they have a pride of ownership that's hard to compare with any other guitar. These are one-of-a-kind, hand-built to the highest standards. 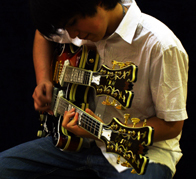 Each guitar is unique. 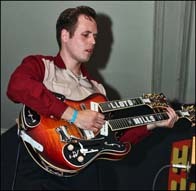 TNM Guitars, wonderful recreations from an era that was the pinochle of western/rockabilly music fashion, the 50's. 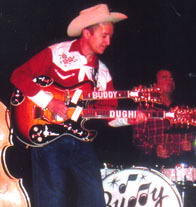 These traditions are being carried on today by the ever growing list of rockabilly and period western show bands all around the world. 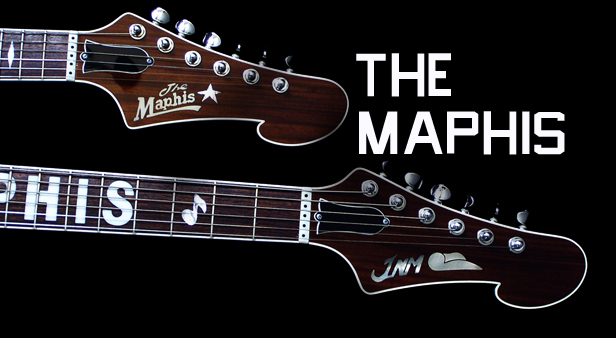 Remember, no other guitar demands the stage attention of a TNM "Maphis". 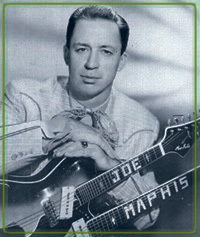 No other guitar can give you the sound of Joe Maphis. No other guitar can give you that satisfied smile - even if your biggest gig is in your living room. Live the dream.